1. Call Medcor at 1-800 775-5866 to report injury. 2. An EMS Report must be completed to document the injury and if the injured employee refuses to be transported for treatment, a refusal form must be signed. 3. If the injured employee is sent to Concentra for treatment, please fill out the form labeled Concentra below. Once you submit the form, the form will automatically be sent to Concentra. 3. 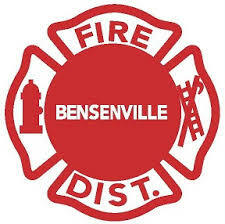 The Bensenville Accident Form must be completed by a Supervisor in the event that any injury is reported. 4. If Medcor does not recommend sending the injured employee offsite, the supervisor must fill out IL-45 form. 5. Please have all forms completed and submitted before the end of your shift.